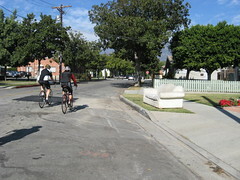 On the way from from this morning’s bike ride, we passed this nice white couch on the side of Craig Ave in Pasadena. Like the Arctic Fox, it’s assuming its protective coloration for the winter. 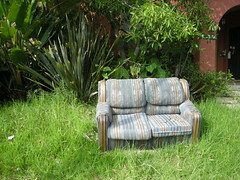 Finally, one can sit and enjoy one’s overgrown lawn in comfort. Taken on Hauser Bl. near Pico.